All You Need is Love...and a Little Agricultural Training! Theat Theng has lived in Sakkada, Boeng Mealea since he was a little boy. He met and married his wife there, and together they built a life for themselves. 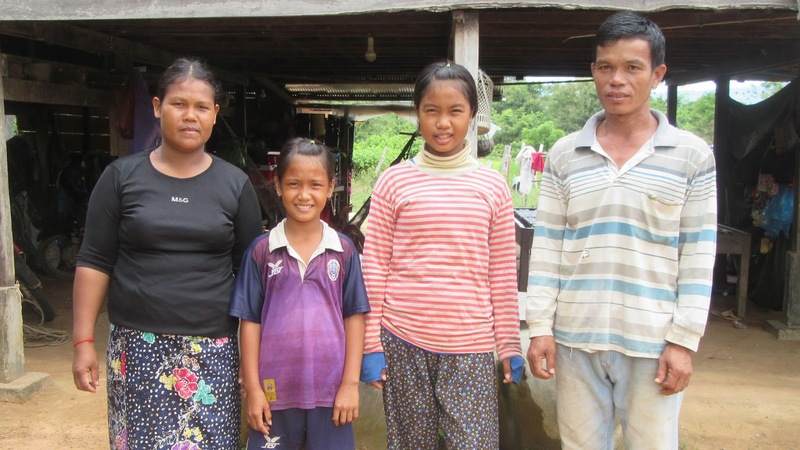 Theng built a modest home for them on a piece of land his parents gave as a wedding gift, and together they had four beautiful children. Theng adds, “But even with all this hard work, we still often had to borrow rice from the neighbours to feed our family, and then pay them back during the next harvest season.” Luck is quick to emphasize that even though they were so poor, they never fought with each other - they love each other deeply. When FH Cambodia partnered with Boeng Mealea and began work in Sakkada, two of Theng and Luck’s children were sponsored by Canadian families. Through this relationship, the parents began participating in various FH workshops and activities. Luck immediately joined a Savings and Loans group. “I really appreciate FH because they provided us with new knowledge. I learned hygiene and sanitation techniques like keeping the area around my house clean and boiling our drinking water. These practices now help me keep my family healthy. We also learned how to raise chickens,” Luck explains. Theng sprays organic fertilizer on his garden. Theng and Luck now have the tools to grow vegetables all year round so that they don’t run out of money or food. This year they planted eggplant, cucumber, long beans, and spinach. Theng explains the business side of their vegetable farm, “We invested my money, about 400,000 KHR - 700,000 KHR ($126 CAD - $221 CAD). In just the first year, we got a return of about 1m KHR - 1.5m KHR ($316 CAD - $474 CAD). Luck prepares food and drink to be sold in their store. Food for the Hungry: All You Need is Love...and a Little Agricultural Training!